With a background of bespoke web application development and custom web site design and build, Coconet is uniquely placed to offer additional customisation of any of our products, to meet individual user requirements. 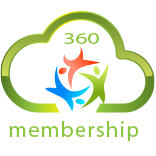 If required, a completely new website can be built around the membership solution. CocoNet specialises in complex member billing, renewals and online payments. Nearly all sites will require some customisation, as a rule we will build a payment gateway and create the online application and renewal forms. Often the organisation will have a set of criteria that neesd to be met to gain membership. We have written complex modules to automate and manage the process. With the 360 suite of hosted products, we can tailor each system to exactly conform to your business rules. You will not get an 'out of the box' product, delivered via the internet designed for the lowest common denominator.